Others: This features recent photos from Austin’s Instagram! Others: This features various images of the different roles played by Austin including Holiday in the Sun, The Day After Tomorrow, John From Cincinnati, and One Tree Hill. 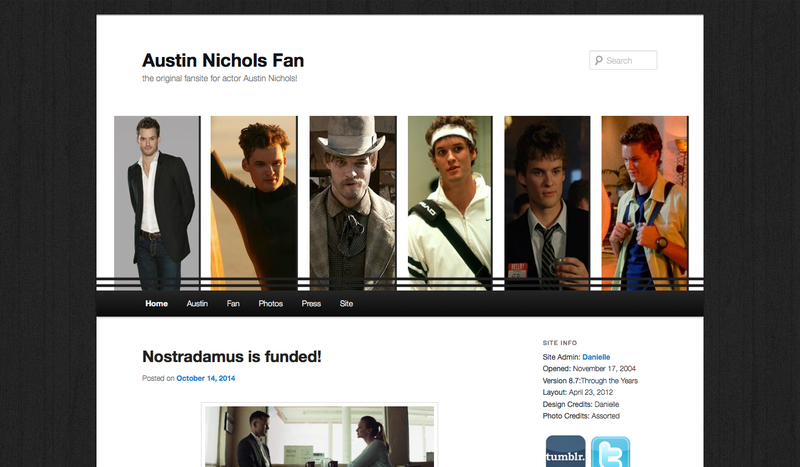 Others: This layout features a few pictures from Davis Factor Photography. The layout is very simple with a gray layout. The pictures of Austin look more sophisticated so I tried to keep the layout simple to reflect this. Others: This layout features 2 pictures of Austin from an unknown photo shoot. The pictures are credited to Matthew Josef. I think the layout is very calming and perfect for the spring and the summer mood/weather. 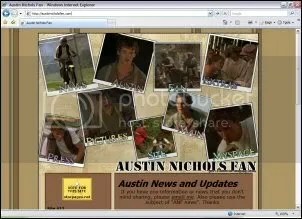 Others: This layout features pictures from Austin from his film Durango Kids. I chose to do use screen caps I took from the DVD and create a layout that features several pictures that look like snapshots of Austin. Each picture takes you to a different main section of the site. The background is a simple brown striped pattern. The layout is basically all brown because the west is dirt and that’s brown lol, but I tried to create it in a way that wouldn’t be boring, and Austin’s favorite color is brown so I hope he and everyone else likes it. 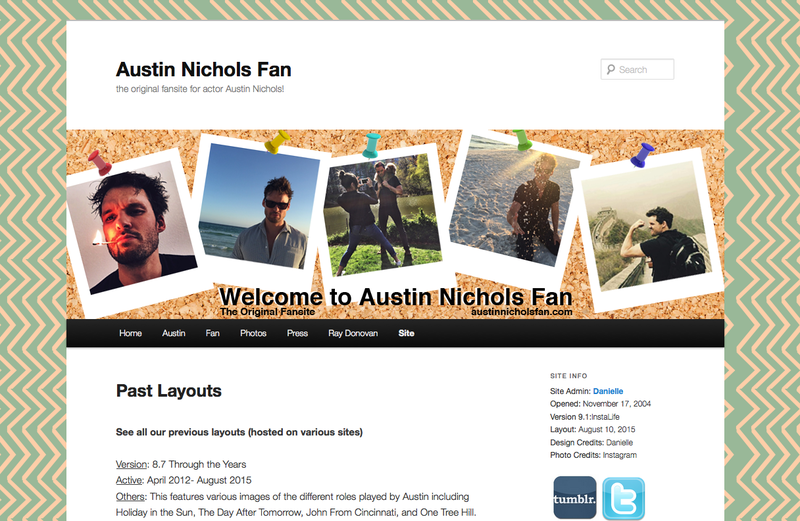 Others: This layout features pictures from Austin as Jackson from his role on the NBC show Surface. Pictures used in this layout are credited to NBC.com. The layout uses a lot of pastel colors to create and easy on the eyes design. The background is a grey and light aqua patterned painted lines. Others: This layout features pictures from Austin in Holiday in the Sun. I thought these pictures were perfect to use because they are really summery and the greenish-blue color added to the summer feel. The background for this layout is a blueish-green and white diagonal line pattern. Others: This layout featured pictures of Austin from Wimbledon. I chose these pictures because they had a spring feel to them and with spring coming soon, I thought it was appropriate. The Layout Banner consisted of a grey and white soft feeling look. The Background for this layout was a horizontal pattern of light and dark grays.